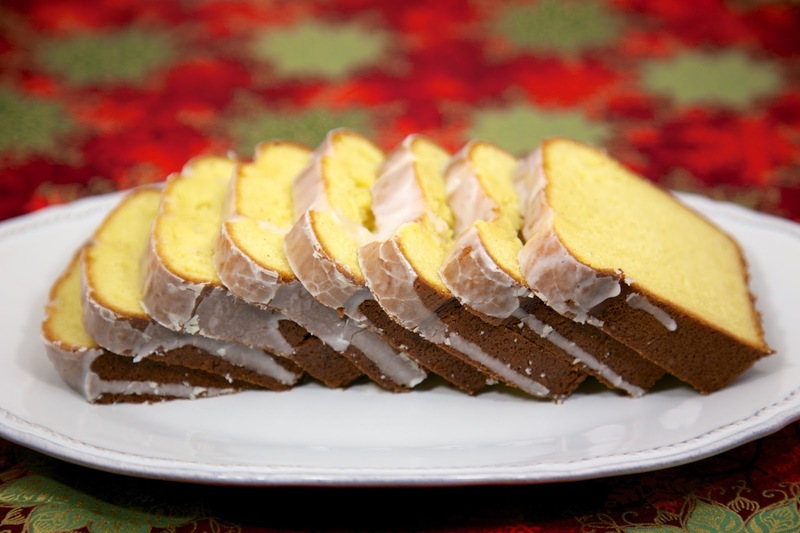 Eggnog Pound Cake - even eggnog haters will love this cake! Can make ahead of time and freeze unglazed for later. Served this at a Christmas party and everyone RAVED about it! Even eggnog haters!! Makes a great homemade holiday gift. 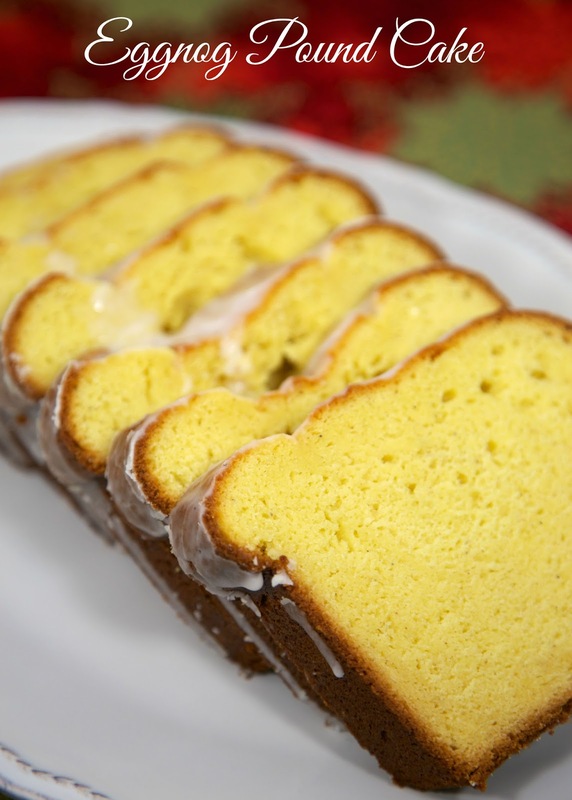 We love this eggnog pound cake recipe! First of all, I don't drink eggnog. I'm sure it is great (with lots of rum or bourbon in it), but I haven't gotten the courage to try it yet. That being said, I loved this pound cake. It was SO good! It smelled heavenly while it was baking. I couldn't wait to get it out of the oven and try a piece. This cake has a little bit of spiced rum in it. I used Captain Morgan's. I bought a miniature and it was enough to make two loaves and glaze them both. This would make a great homemade gift for neighbors and friends. It would also be a sweet ending to your holiday meal. Whisk together powdered sugar, nutmeg, spiced rum and milk. Pour over cooled cake. Looks very good and sounds like a great flavor for pound cake. Could you double the rum? lol- I'm 40...something...and just discovered last year that I absolutely love egg nog. Spiked of course. It took a long time to get over the whole "egg" in the nog...but it's pretty delish. Like bourbon infused sweetened condensed milk :-) I'm so making this. I don't think doubling the rum would be a bad idea! I need to try eggnog - I'm sure it is all about finding the right one! Looks great!!! What size loaf pan did you use?